To learn more about the use of glass in architecture, it is necessary to know one of the places that make the most use of it: Dubai. Dubai is currently in full economic and architectural expansion. One of the trends in its architecture is related to glass, thanks to its ability to generate energy savings. However, this was not always the case. Dubai’s first skyscraper, the Sheikh Rashid Tower, featured a design that was familiar with the country’s hot weather. For this reason, the glass used was inferior to opaque locks. The glasses were not selective, so they reduced energy, but also luminosity. The exterior appearance was unattractive, due to the high reflectivity that opaque glass generated. At present, the trend is based on the use of neutral coloured glasses and high transparency. In addition, it is now possible to manufacture and use selective glasses that cut off part of the infrared radiation while allowing visible light to pass through. 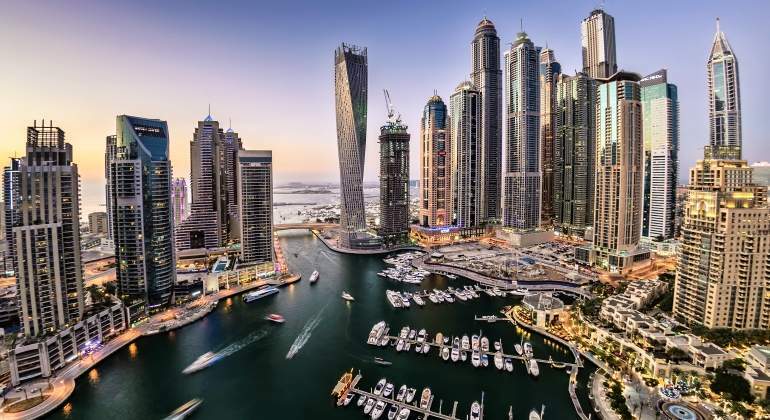 One curiosity is that, in order to further reduce solar radiation, Dubai regulations require that 60% of the glazed surfaces have a northerly orientation. If this is not the case, the south and west facades must be shaded.